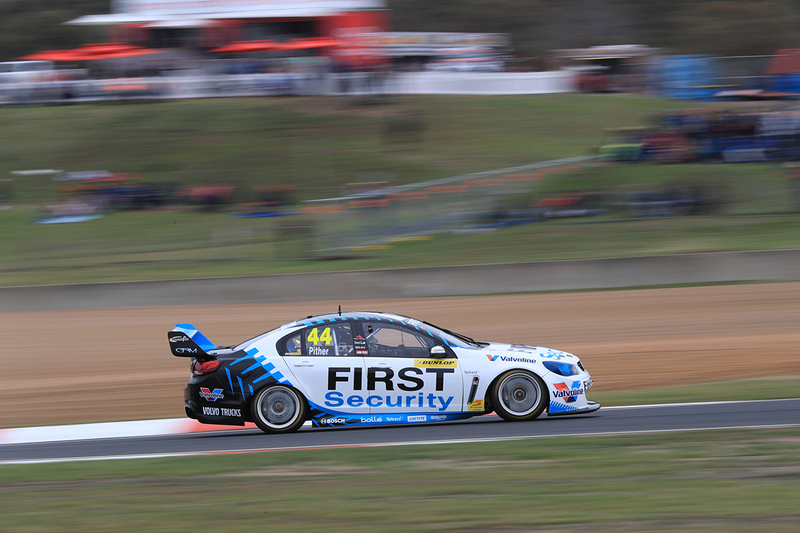 Chris Pither set the pace in a drying final practice for the Dunlop Super2 Series at Mount Panorama. Pither turned a 2:07.3719s lap at the halfway point of the 40-minute session and held onto the top spot for the remainder, ultimately finishing four tenths clear of Macauley Jones. Rain kept away and the track continued to dry throughout, although still a threat with a light drizzle coming into play at the end of the session. Last year's Bathurst Super2 race victor Jones was Pither's closest competitor, setting his lap with just under 10-minutes remaining. It was Bryce Fullwood who set the early pace, before two-time Le Mans winner Earl Bamber - alongside Brenton Grove in the #10 Holden Commodore - had a mechanical failure. Bamber started the session in the Grove Racing Commodore and stopped on the entry into pitlane with a driveline failure, bringing out the red flags and ultimately finishing at the bottom. Once the session had resumed it was Fullwood who remained on top, until he was shaded by Paul Dumbrell and then Pither's flyer. Series leader Dumbrell finished the session third, ahead of MW Motorsport driver Garry Jacobson, who was quickest of the Nissans. Dumbrell's Eggleston team-mate Will Brown took fifth, ahead of Paul Morris Motorsport Ford driver Shae Davies and MWM's Dean Fiore. Holden drivers Kurt Kostecki, Bryce Fullwood and Brodie Kostecki occupied eighth through to 10th. Nathan Morcom was the second driver to bring out the red flags, after collecting the wall on the run into Forrest Elbow with seven minutes remaining. The session came to a halt and was not resumed, finishing four-minutes early under red flags. The top five drivers in the session are all on double duties in the PIRTEK Enduro Cup this weekend, as well as well as Fiore, Fullwood, Bamber, and Alex Rullo (13th in the session). ARMOR ALL Qualifying will take place at 3:05pm Friday, followed by warm-up on Saturday morning and a single 250km race in the afternoon.